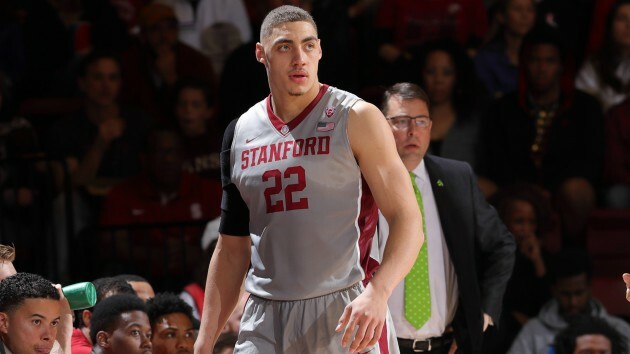 The NCAA granted Reid Travis an extra year of eligibility, Stanford announced Wednesday. The former DeLaSalle standout and boys’ basketball Star Tribune Metro Player of the Year received approval of his medical hardship petition and will enter the 2017-2018 season as a redshirt junior. Travis, who was part of the “Big 3” including Tyus Jones and Rashad Vaughn, missed the final 22 games of the 2015-2016 season with a leg injury. The 6-8, 245-pound forward remained healthy in 2016-2017 and was a First Team All-Pac-12 selection. He’ll return next season as the conference’s scoring and rebounding leader, averaging 17.4 points and 8.9 rebounds per game. Travis was also selected to the National Association of Basketball Coaches All-District team. He was the lone player in the Pac-12 and one of only five individuals in the top six basketball conferences to rank in the top five of his conference scoring and rebounding, and just one of two players to rank in the top six in the league in scoring, rebounding and field-goal percentage. The other was UCLA forward TJ Leaf, who is projected a first-round pick in the June 22 NBA draft. Travis ranked in the top eight in the Pac-12 in seven different categories: scoring (17.4, fourth), rebounding (8.9, fifth), offensive rebounding (3.4, first), field goal percentage (.579, sixth), double-doubles (9, sixth), free throws attempted (181, second) and free throws made (118, third). "I am thrilled for Reid and our program," Stanford head coach Jerod Haase said in a statement. "Reid has battled through some unfortunate obstacles during his basketball career. We witnessed the impact of a healthy Reid Travis this past season and are excited for him to lead our program for two more years." Travis proved in the final stretch of 2016-2017 he should be up for the challenge. He posted nine of his 10 career double-doubles last season and averaged 19.8 points and 9.6 rebounds per night in the final nine games. His offensive rebounding average ranked 20th and his field-goal percentage 32nd nationally during this stretch. Travis a society, technology and society major, is one of four starters the Cardinal will have back next season. Photo courtesy of Stanford athletics.